Trolley Bays – Steel trolley bays designed, manufactured and installed for any carpark application. 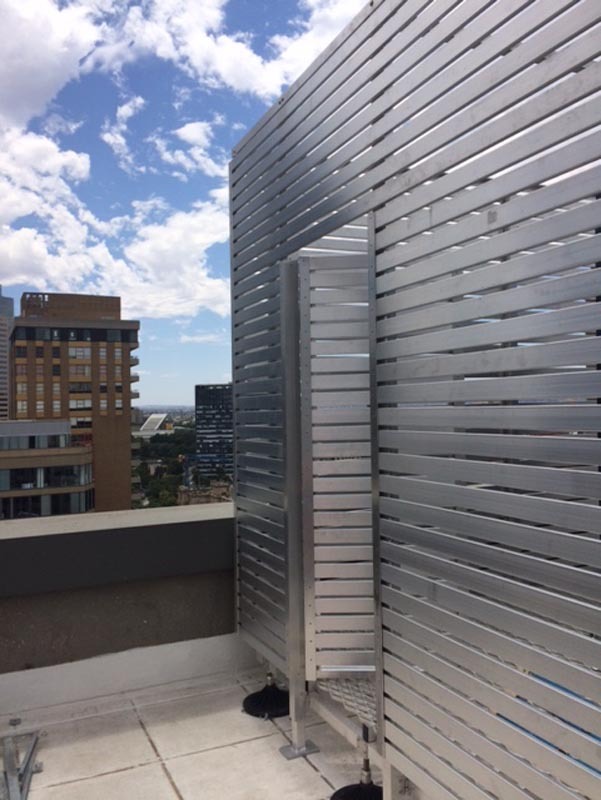 Louvre & Screen Systems – Security and stylish louvre and screen systems, designed, manufactured and installed to suit any application. 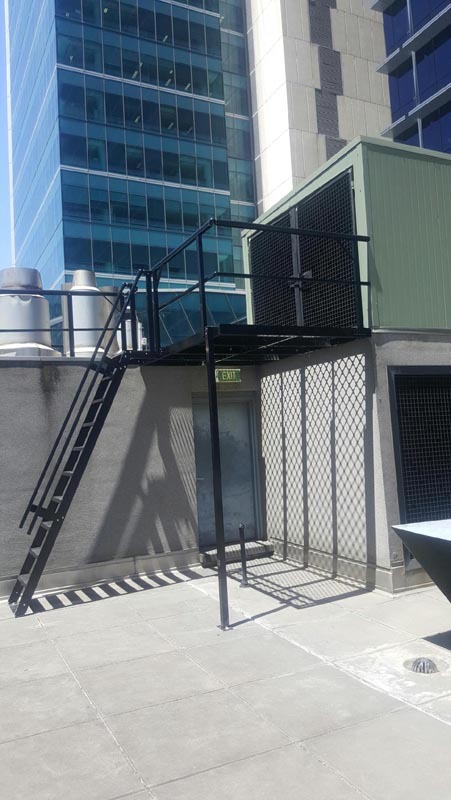 Steel Powder Coated Safety Rails – Steel safety rail bays designed, manufactured and installed for any application. Hoist Lifting Systems – Hoist lifting systems to transport heavy items onto a rooftop for maintenance or installation. Portable Ladders – All types of portable ladders to provide safe access for any application.